Unlike most component suppliers whose obligations are limited to product warranty, Tetra Pak plant components incorporate a lot of added value. We have a real interest in helping you select the right components needed to keep your plant up and running in good condition. We want to establish and maintain mutual profitable relationships. Decades of knowledge on food processing and packaging enable Tetra Pak to discuss plant components and their specific applications in depth with you. We keep abreast of what ’s available and what ’s new from leading-brand manufacturers, and so can recommend the right component with the right performance for the right task. In most cases, our customers build up close personal relationships with our product specialists. This allows you to simply contact a specialist for advice and be assured that your needs will be taken care of in a professional way. With Tetra Pak you get total life-cycle support. From pre-sales advice, through purchasing to after-sales support, we help you secure long-term production security. In addition, Tetra Pak distribution centres are strategically located around the world to meet your needs. Irrespective of whether you need a number of components at a time or individual components over time, you still benefit from a single-source supplier in terms of sheer convenience, time-saving, personal service and accountability. Tetra Pak has earned its good reputation for getting components to customers fast. Our familiarity with export and import regulations in countries worldwide and the correct documentation needed to effect smooth transit of packages through customs means that once you have placed an order with us it will be processed in the most efficient way. 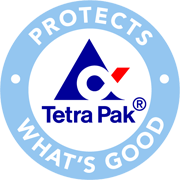 Choose Tetra Pak as your partner in safeguarding your investment. Our Technical Service Portfolio brings together all our competence and expertise from our worldwide organisation. These services are dedicated to support you throughout the lifecycle of your operation. Tetra Plant Care is our brand name including our maintenance services and products. Tetra Plant Care outlines and supports a structured way of designing scheduled plant maintenance programme. Each specific service will be adapted to your exact needs. For your Plant Components we can offer you tailor made maintenance agreements to each part of your plant or to your complete plant in order to maintain and improve plant performances. This will help you to increase operational reliability while reducing total maintenance and other operating cost.Contact your Tetra Pak representative to get more information.